Lobster traps stacked 10 feet tall on the wharf, with as many colorful buoys stashed neatly inside each one. Peapods and dories floating nearby, with lines attached to a cleat on the edge of the dock. Fishing boats tied snug in the harbor’s mooring field further out, bows all pointed in the same direction, into the wind. It is an iconic image of Maine’s working waterfront, and it tells a timeless story of communities whose economy, culture, and character are intertwined with the sea. 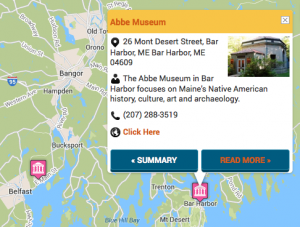 When you visit the coast of Maine, you are by definition visiting Maine’s working waterfront. This was true 150 years ago and it is still true today, something for which Mainers are rightfully proud. Working waterfronts, where infrastructure of all sizes shows that people’s livelihoods are dependent on the sea, was once visible throughout the nation’s coasts. But many of the nation’s working waterfronts has given way to other uses or fallen into disrepair. Not so in Maine! Here, both the state government and coastal communities have invested heavily in protecting our working waterfront because it is a part of our economy and culture, and because without it, we are pretty sure that coastal Maine would lose its soul. Wharves, piers, slips, mooring fields. Fishing boats, sail boats, marinas and ferries. Processing plants, education centers, and research institutions. All these and more are part of Maine’s working waterfront today and each one offers a different story about Maine’s relationship with the sea. So take a side trip into Port Clyde, or Rockland, or Jonesport, or nearly any harbor in between, and work your way down to the waterfront. 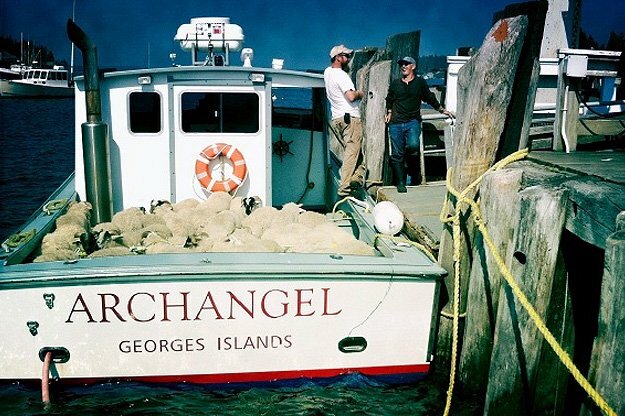 Chances are good you’ll see a lobsterboat at work, but Maine’s working waterfront is a diverse place and you just never know exactly what you might see! Just remember to please stay out of the way because, these folks on the waterfront, they are working.